i made this sucker at least a month ago and am waiting for a break between several projects to have one of my dear friends take photos of my invitations so i can post them up here. after sharing this little fact with the hubs he suggested that i at least put one or two posts up to give it some content. so i obliged. the lovely background comes courtesy (well, i purchased it so it was courteously designed with the intention that someone like myself would love it) from this great website, Design House Digital, for digital scrapbooking. now, don't get me wrong... i am not a scrapbooker. i attempted it once and the hubs is STILL waiting (i'm sure) for our wedding scrapbook almost 7 years later. but there are SO MANY things that inspire me on that website. 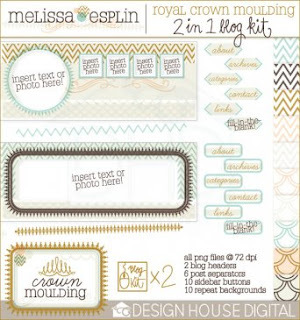 one of my fav designers, Melissa Esplin, just recently started making scrapbook layouts and blog layouts for this website and i jumped on the chance to buy some of her stuff. after being out of work for 4 years i am feeling a little computer-illiterate. this was my first time EVER doing my own blog that didn't use a template and i have to say i'm pretty proud of myself for putting in the work figuring out all the html stuff. so, here i am. and here you are.... (Brandi, my only "follower" *wink*) i hope you will (eventually) like what you see.